Original footage, in context, below. After the idea of the browser as a dumb terminal had occurred to me, but before I’d finished drafting this post, Mark Suster drew an identical comparison in a post on his blog, in which he presents a robust defence of the Mobile Web in the context of the Apps vs Web debate. Until the ‘70s, the average computer was a huge, expensive mainframe locked away in an air-conditioned room. It’s users interacted with it through what we refer to nowadays as a dumb terminal – little more than a screen and keyboard on the end of a long cable. The advent of the personal computer in the late ‘70s changed all that by putting computing power on the user’s desktop. In the ‘80s local area networking technologies allowed PCs to share expensive resources like storage and printers, and allowed the people using those PCs to share information with their colleagues. No longer did you have to copy a spreadsheet onto a floppy disk and carry it across the office – you simply stored the file on a network drive. The Internet now allows us to do this on a global scale; we can now publish, access and share information quicker, easier and with more people than has ever been possible before. But somewhere along the line, we seem to have regressed towards the days of the dumb terminal. Despite the fact that modern personal computing devices rival 80s-era supercomputers in terms of raw computing power, we seem to be progressing down a path where they are little more than displays for accessing information and services stored in “the Cloud”. The web browser is the modern equivalent of the dumb terminal and many mobile apps are simply custom-designed interfaces for an application running on a back-end server. Instead of connecting directly with our friends online, we congregate on sites like Facebook. Instead of collaborating directly with our colleagues, we do so through something like Sharepoint, Huddle or Basecamp. Am I the only one who finds the concept of logging onto a website (that’s probably hosted on a server thousands of miles away) in order to collaborate or share with someone who’s sitting a few feet away, to be faintly ridiculous? We might be “connected” but not to each other. Modern technology offers us incredible power and flexibility. It feels like we’re wasting the opportunity to use that technology to create tools and services of real, intrinsic value that are tailored to and fulfil users’ needs, instead of constraining them because it’s easier, from a technical perspective, to centralise data, or because the company’s business model relies on those constraints. Wouldn’t it be sad if the reason we never got our personal jetpack was because it was more lucrative to keep selling tyres? 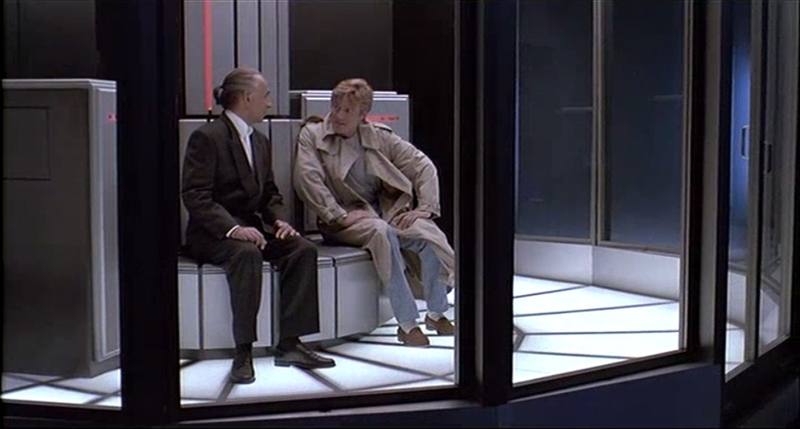 The picture above is of Ben Kingsley and Robert Redford sitting on a Cray Y-MP supercomputer in a scene from one of my favourite movies: ‘Sneakers’. I occasionally speak on the topic of innovation to people from banks and, over time, I’ve gradually put together a set of speaking notes that I have on my iPad, ready to whip out at a moment’s notice. Here they are, turned into a Prezi. Last week, I wrote about the fact that the single largest threat to Groupon’s survival is a loss of confidence on the part of its merchants, in Groupon’s ability to pay its debts. Just as Lehman Brothers was brought down when other banks stopped lending it money because they feared that Lehmans wouldn’t be able to repay, Groupon could be brought down were merchants to stop supplying Groupon with deals if they feared that Groupon wouldn’t be able to pay up in 60 days time. Since then, Groupon’s IPO has been delayed and news has emerged that Groupon employees are suing the company (credit to Eamonn Carey for bringing that last piece of news to my attention). Meanwhile, Groupon’s competitors continue to gain ground and Google has expanded the “beta” version of its Google Offers service to five more cities. Firstly, the Treasury has begun an open consultation on plans to encourage seed investment by angels and word has emerged that the Tech City Launchpad concept is to be “rolled out nationally” (although what exactly that entails remains to be seen – with luck, it means that the kind of support offered to Shoreditch-based tech startups will be available to any startup, anywhere in the UK). This is very welcome news. It indicates that the government is actually interested in doing more than just jumping on a bandwagon and generating a few positive headlines. Secondly, I’ve just spent a few days in Silicon Valley. I’ve spent a lot of time in California over the past few years but, this time, I made a point of deliberately hanging out in Silicon Valley for a couple of days. 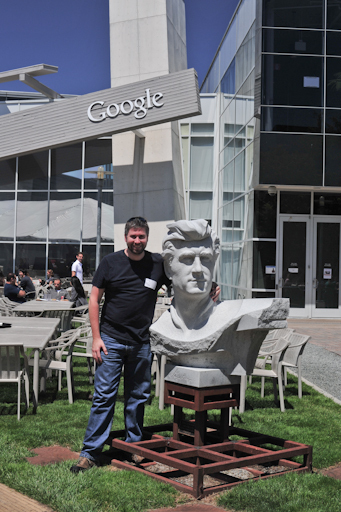 I went to a 106 Miles meetup, visited the Googleplex, hung out at the Coupa Café in Palo Alto (I can recommend the mango smoothies) and met, informally, with a couple of VCs. Driving down Sand Hill Road (a mecca for anyone seeking to raise money from VCs) brought home to me the pivotal role Stanford University has played in the development of Silicon Valley. I knew, intellectually, that Silicon Valley had been built on an education master plan but it wasn’t until I was driving along, with the Stanford campus on my right and a slew of VC firms’ offices on my left that I really understood Stanford’s role as the focal point of Silicon Valley. 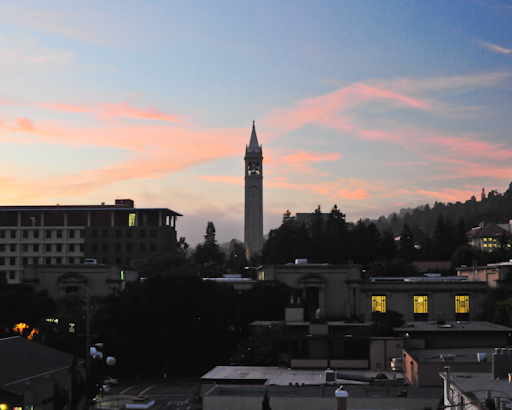 Last night I stayed in Berkeley, just a couple of blocks from the UCB campus. In fact, I can see the Campanile from my hotel room. Walking around downtown Berkeley yesterday, I could see the influence the university has had on the vicinity. Its left-leaning, libertarian culture permeates the local area – street vendors hawk hippyish jewellery and knick-knacks, the coffee shops’ noticeboards display posters for political and literature-themed events, there’s a bustling all-vegetarian café and a Tibetan souvenir store within a stone’s throw of the campus boundary, and the surrounding streets house various Centres for research into this or that. You don’t really get the same degree of influence around the various schools and colleges of the University of London, probably because LBS, LSE, UCL, KCL and ICL are located within central London, while both Stanford and Berkeley are geographically removed from San Francisco. Some people get embarrassed and/or defensive when they’re wrong. I like to think that I don’t (although I say “like to” because I’m sure that my friends and colleagues can cite many instances when I have, in fact, been both embarrassed and defensive when I’ve been proven wrong). I could write an entire blog post on the topic of being wrong (and I probably will, when I get the time) but the pertinent fact here is that I now believe that Cameron’s vision of building the British equivalent of Silicon Valley in East London may not be such a silly idea after all. However, I still think it’s going to take more than £200m and a catchy name to make it happen. If I’m right and Stanford did (and continues to) play a pivotal role in the development of Silicon Valley, then the way to create a British Silicon Valley is to establish a British Stanford. It just so happens that, in the Olympic Park, we have the perfect site for a new campus for a University of London School of Technology, Innovation & Entrepreneurship, with plenty of space for commercial premises that can be leased by startups and joint ventures affiliated with the new university. The opportunity to establish a new university, on its own, contiguous campus, is one that will probably not present itself again in our lifetime. I spent the day at London Business School’s Global Leadership Summit which, this year, focused on the topic of Innovation, which is one of those things that is universally desired but which most people (including many so-called “experts”) struggle to define or, ineed explain. Today, the audience was asked to vote on the best definition of innovation from a list of four. The Economist’s “Fresh thinking that creates value” was the winner, with 58% of the vote. Later in the day, Vince Cable offered his own definition: “Knowledge [and] ideas being turned into commercial application”. I like to think of myself as knowing a thing or two about innovation. My stock in trade is enacting innovation through the application of technology and I’m occasionally asked to speak on the topic for organisations or companies who are struggling to innovate. When I do so, I like to define the term up front, using the dictionary definition: make changes in something established, esp. by introducing new methods, ideas or products. 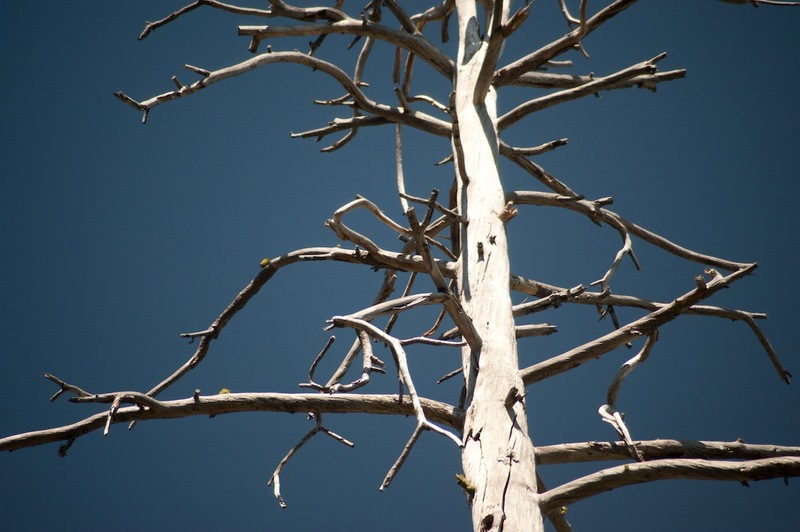 People often focus on the creative side of innovation but, to me, that’s the easy part. Ideas are two-a-penny. Implementing them is the difficult part. For me, change is a very important aspect of the definition of innovation, because it points us towards what I consider to be the most common reason behind a failure to innovate: resistance to change. Change is difficult. As organisations grow and mature, as systems and processes evolve over time, as people settle into a routine and become comfortable with what they’re doing, they become resistant to change. When I talk about how companies can become more innovative, I probably spend over half the time talking about how to overcome resistance to, and fear of, change. Nick Hughes, who developed the M-Pesa mobile payments system while working for Vodafone, said that telcos were reluctant to step over the boundary into mobile financial services. Nick also stated that companies fear cannibalisation of their existing markets and revenue streams. My personal opinion is that it’s better to self-cannibalise than stand still while a competitor eats your lunch! 3M’s Buckley isn’t a fan of bringing in outside consultants to help drive innovation. He’s also reluctant to outsource because “things always go wrong at boundaries”. Philip Rutnam (Director General for Business and Skills at the Department for Business, Innovation & Skills) pointed out that, if designed properly, regulation can support innovation and cited Ofcom’s statutory duty to support competition as an example. Different brands within the same company may compete with one another but it’s about the overall market share. – Sir Martin Sorrell, talking about competition within WPP. Two thirds of the companies on Fast Company’s 2009 list of the Most Innovative Companies weren’t on the 2010 list. – Professor Nader Tavassaloni quoting Gary Hamel. In a vote on the role of the CEO, 80% of the audience voted that the CEO is key to driving innovation but by providing top level support rather than being a source of innovation. Social innovation is fresh thinking that creates social value. Social enterprise creates social value by applying commercial principles. Shai Agassi believes that the advent of cars powered by electricity alone represents the “digitisation” of cars and that we could end up treating cars in a manner similar to how we currently treat mobile phones (i.e. a low up-front cost for the device itself, then we pay for usage).